Everyone that agrees to go on a road trip planned by me knows by now that if there's a Muffler Man within a reasonable radius, we'll be pulling over. Just a few hours after visiting Don Parks and his yard of stuff—including his own Muffler Man—Jean-Marie and I stopped at the Northern Arizona University campus to meet my 18th (!?) fiberglass giant. I think I do extensive research before I leave for any trip, but I inevitably either forget a lot of details before we see the thing or I discover something new about a place we visited only after I get back home. The thing I might actually like most about writing this blog (aka my second job that pays me no actual money) is that it gives me the opportunity to research the places I've been. I've always been someone who loves spoilers—who reads a review only after I've seen the movie—and I love immersing myself in information about places after I've had my own experiences with them. Imagine my delight when I discovered as I was researching this particular Muffler Man, that he was actually the very first Muffler Man ever created. 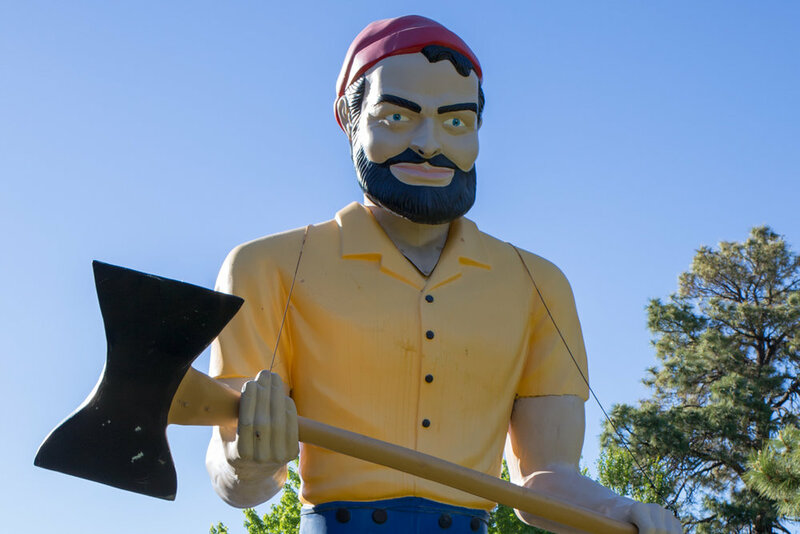 This 20-foot-tall Paul Bunyan statue was created in 1962 by Bob Prewitt, whose California business, Fiberglass Animals, made a lot of the roadside animals that can still be found around the country. He received an order for the statue, but when the buyer backed out, Prewitt took his Bunyan on a little road trip along Route 66. 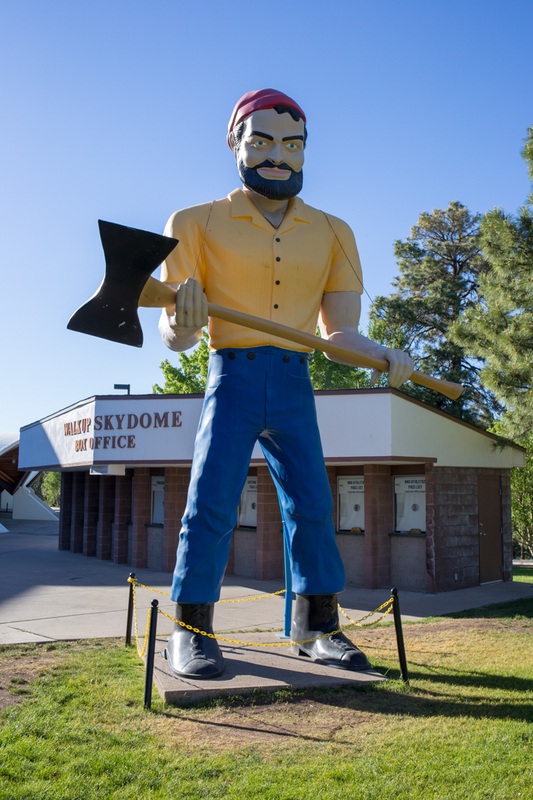 He was able to sell the statue to the Lumberjack Cafe, where it stood until the '70s when the restaurant was sold and renamed. Now the Bunyan and his axe stand outside of the J. Lawrence Walkup Skydome (home of the Lumberjacks) and he was looking very fresh when we visited. This particular Muffler Man is built as one piece, while later versions were made of four pieces, bolted together. 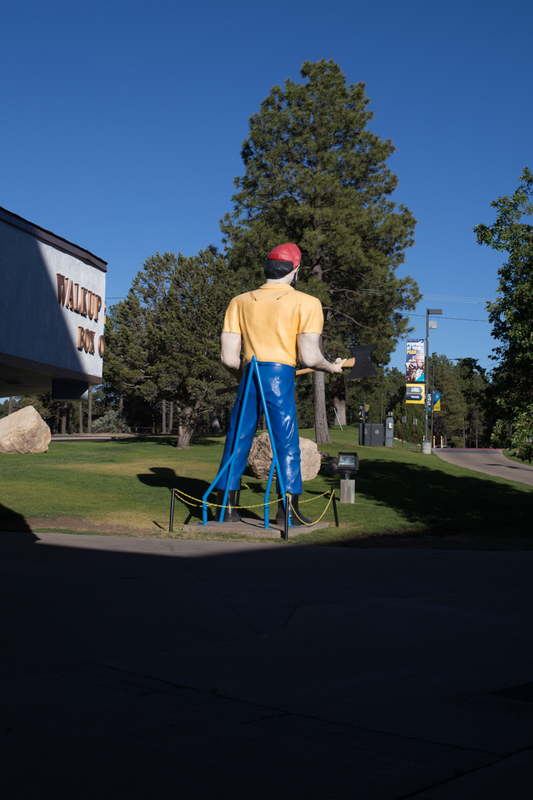 There is actually another nearly-identical Bunyan statue—also from the Lumberjack cafe—at NAU, but he's located inside of the stadium which was closed when we visited. 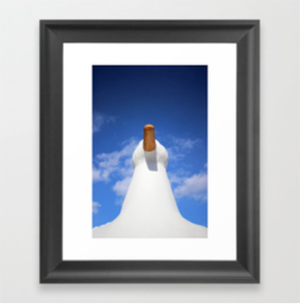 I hope you've noticed the new navigation at the top of the site—you can see all of my Muffler Man posts now under the "Roadside" dropdown or by clicking the "Muffler Man" tag below.